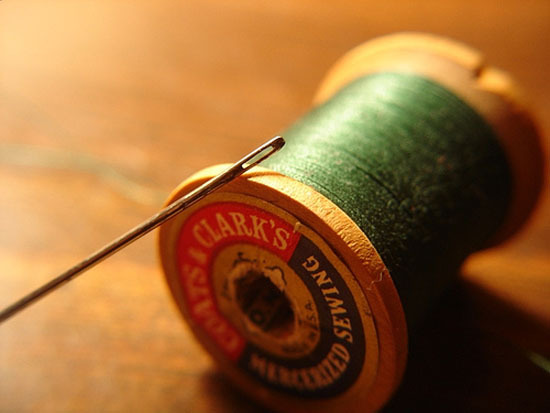 Homespun Stitchworks..... For the love of vintage: Vintage fabrics, buttons, threads and patchwork ....... The treasures in my workroom. Vintage fabrics, buttons, threads and patchwork ....... The treasures in my workroom. and talks to me about my work and ideas. I run things by him and he will listen and suggest or tell me .." leave it like that, its perfect" or "another button there might look good"
When I set a day out in my head where I am in there for cleaning, putting away and making baskets, it is one of my favourite days. It's like ironing .. I can not stand that chore, until I am ironing beautiful fabrics and tying them with little scraps of fabric or wrapping them in tissue. Then I could quiet happily iron and press for hours on end. When I go to my button drawers (not as bad as you may think they are tiny drawers, although I could happily fill large drawers left to my own devices and unlimited money!) I am happy looking at ones that I have bought for designs or yet to be designed projects. There is something about mother of pearl that brings out the magpie in me! Embroidery threads from vintage ones that I have found or the hand dyed Shaker ones that I buy in America .. I am happy to sit and sort through the boxes. So I have to be a bit disciplined with myself or I would be there days later with more mess and nothing in its rightful place! You would find me buried under boxes purring like a cat on catnip! On Friday I went to my workroom and set about the tidy, hoover and dust business but first I had to photograph some things so that they could be put away safely. It takes quiet along time to gather to photograph as you can imagine and I feel the photography is as important to my readers as my words are. Well needless to say the day went faster than I did and I still was not finished at all... I am still sorting stitchery baskets to photograph as asked but lots of you but I promise I am on it this week. You can see my dilemma from the photo's I was so distracted but the tidy is nearly done, which means this week I can set to and make up the baskets properly with all their ingredients needed for each project ... including beading needles now! and so later in the week I will report on my basket making. It is a busy week of work and house things as its my husbands Birthday this coming weekend and there will be a house full and a couple of get together's, the largest of which is on Saturday night. Friday night is a small gathering which is his actual Birthday and so Friday afternoon there will be no more work for me this week, as I will be in the kitchen cooking and preparing! I hope you all have a wonderful day and as always Happy Stitching! Have you ever been to the needle museum (yes there is one) in Redditch? Very interesting. You learn something all the time in my world! And there is my latest learn!!! I did not know that.. I am going to have to look that up.